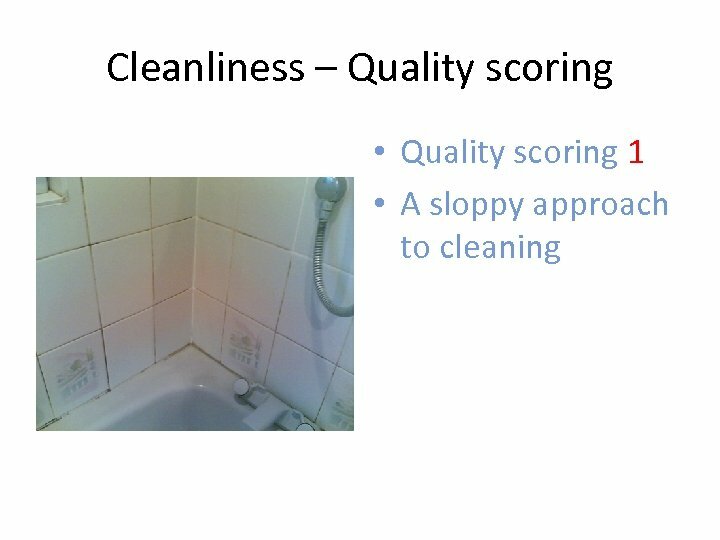 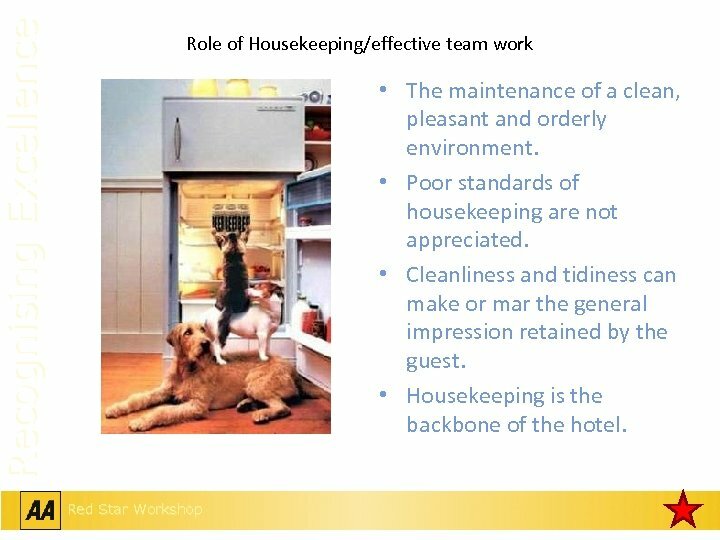 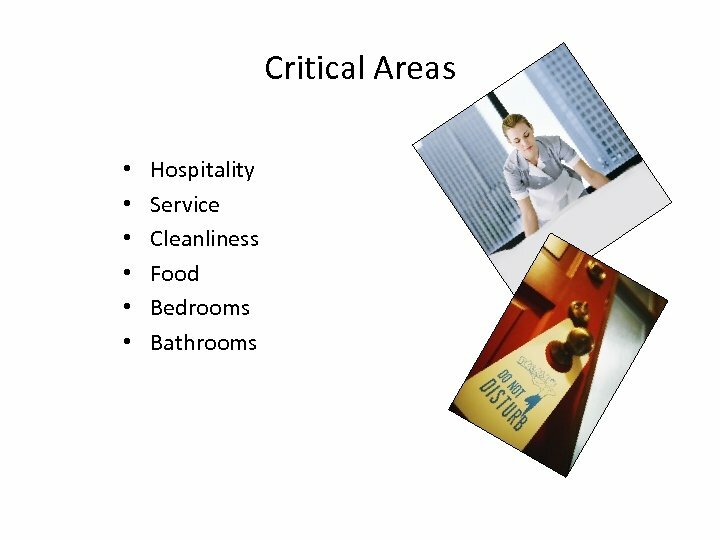 Cleanliness – Quality scoring • Quality scoring 2 • Superficially clean and tidy, but lapses noted when looking closely. 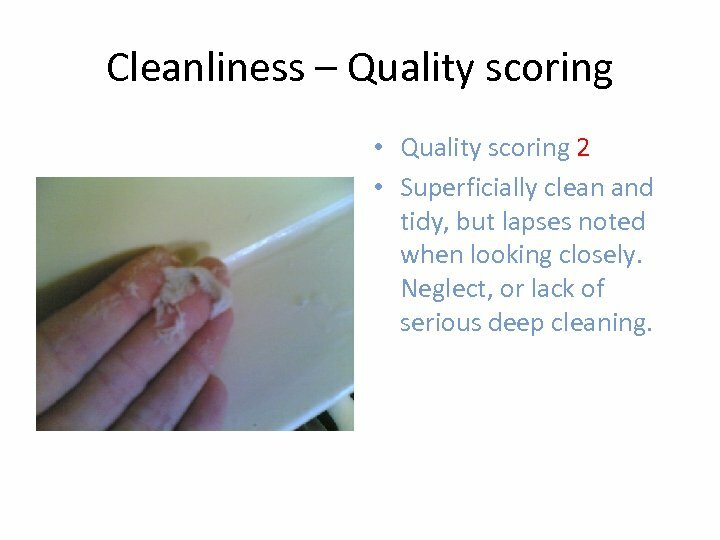 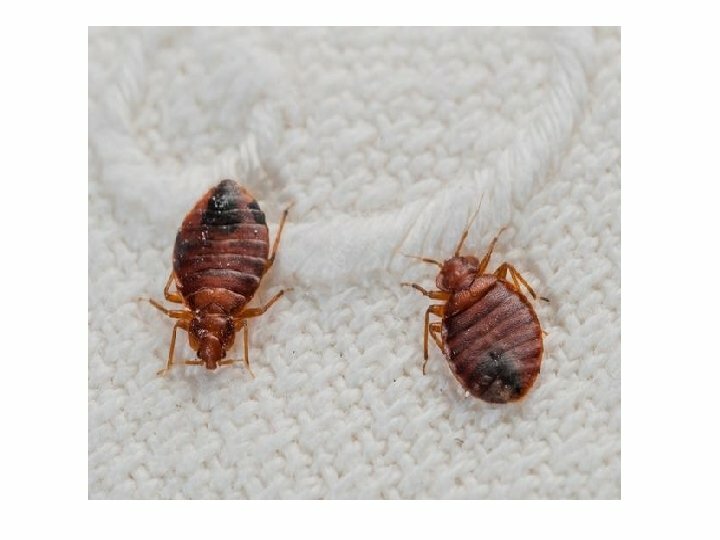 Neglect, or lack of serious deep cleaning. 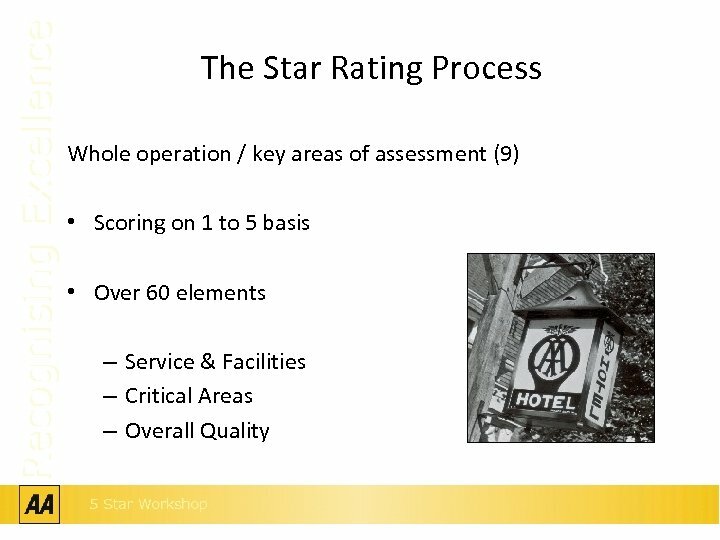 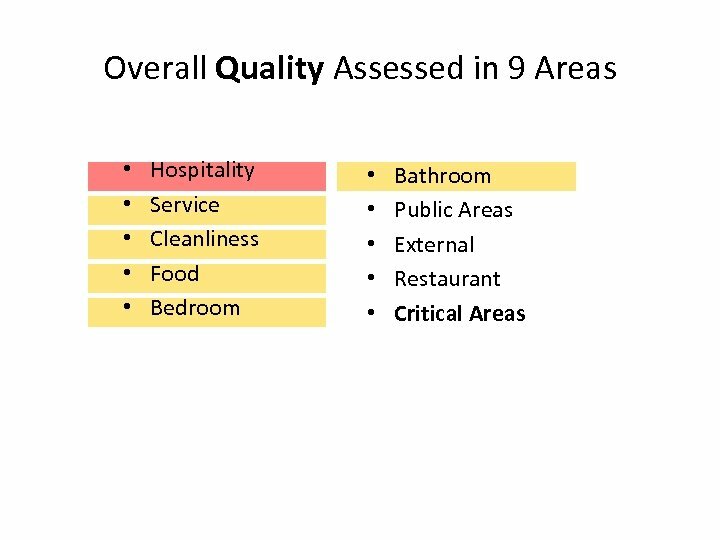 Cleanliness – Quality scoring • Quality scoring 3 • Happy to use the area. 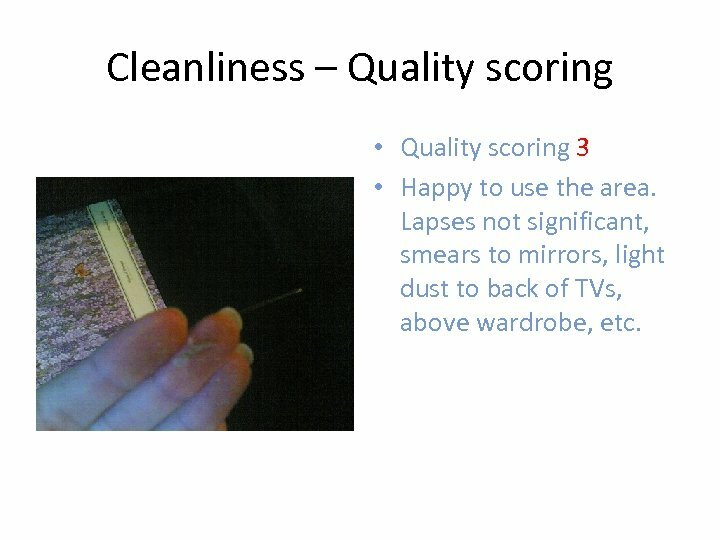 Lapses not significant, smears to mirrors, light dust to back of TVs, above wardrobe, etc. 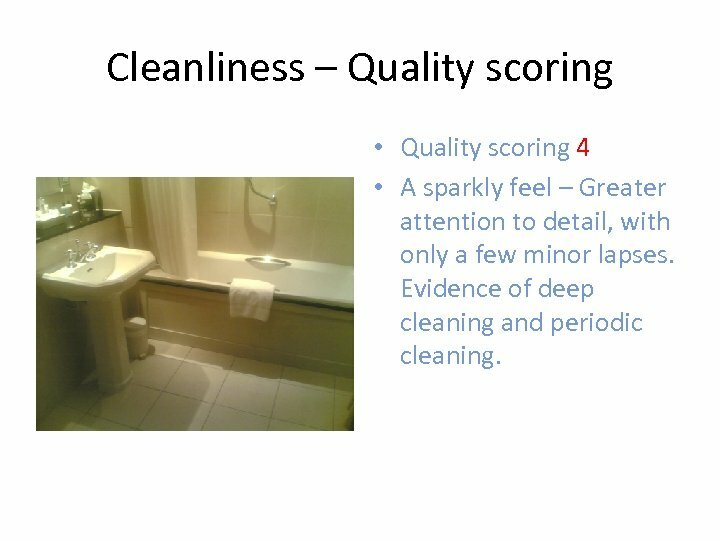 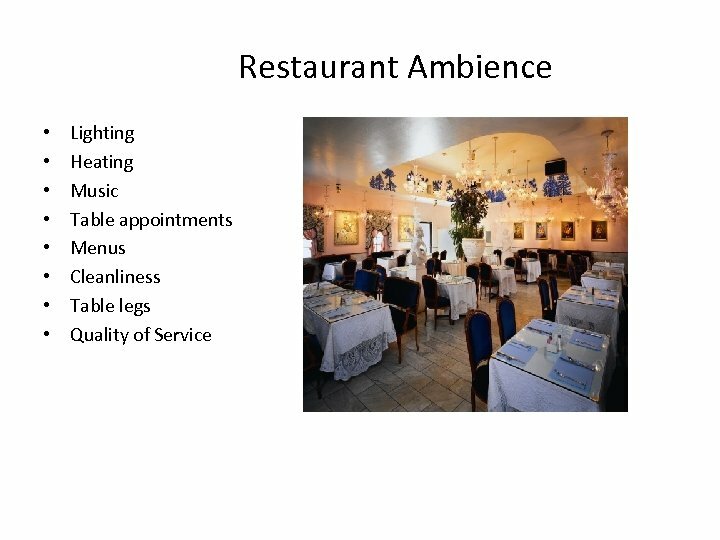 Cleanliness – Quality scoring • Quality scoring 4 • A sparkly feel – Greater attention to detail, with only a few minor lapses. 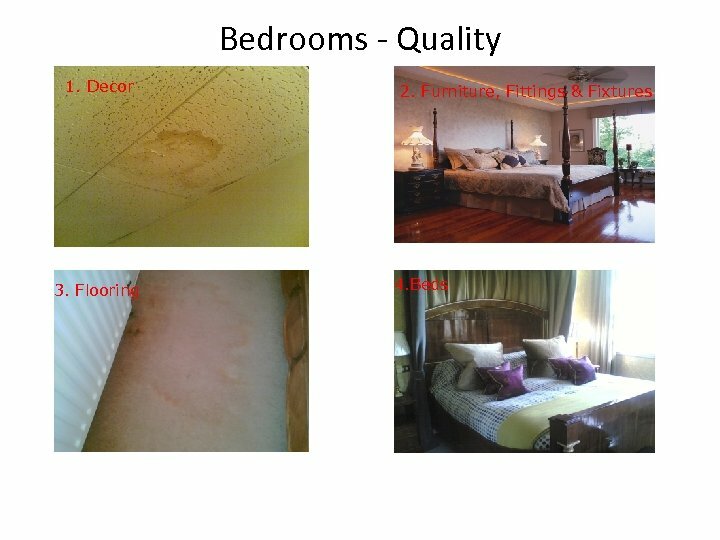 Evidence of deep cleaning and periodic cleaning. 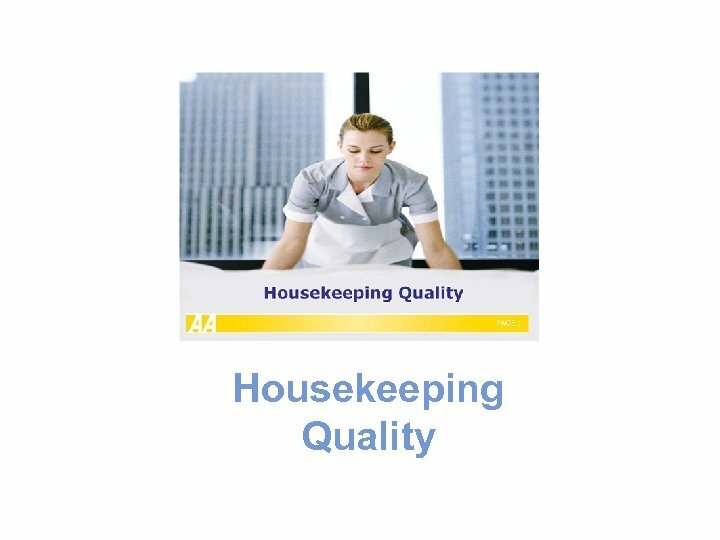 Cleanliness – Quality scoring • Quality Scoring 5 • Pristine standard of housekeeping. 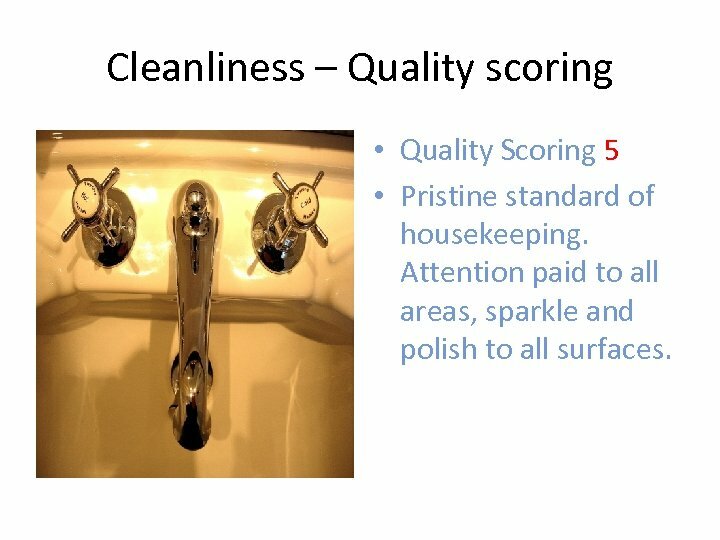 Attention paid to all areas, sparkle and polish to all surfaces. 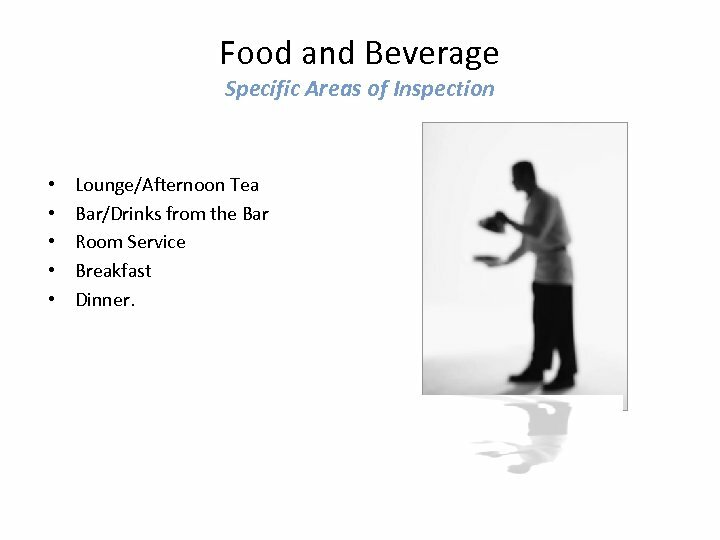 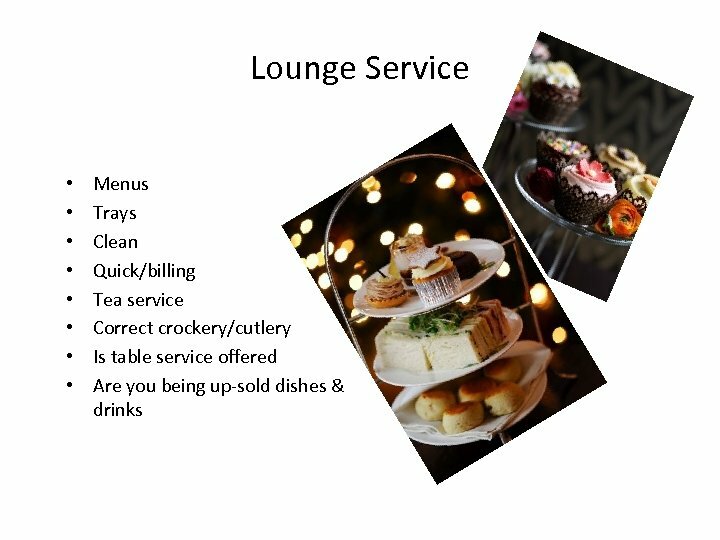 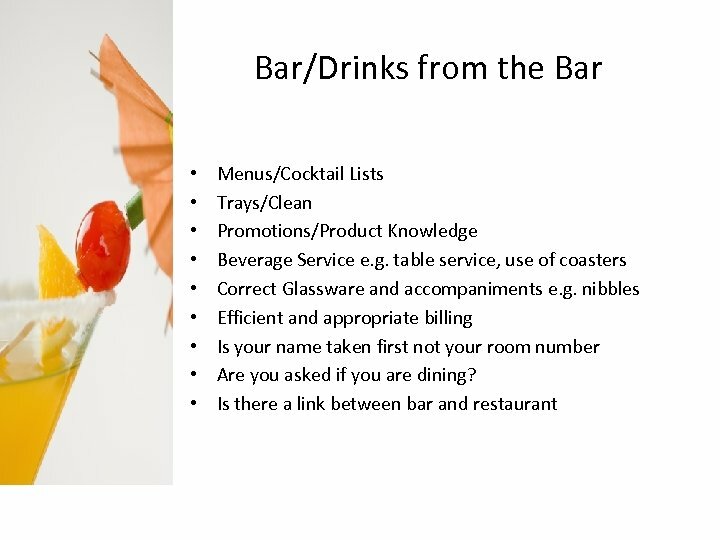 Food and Beverage Specific Areas of Inspection • • • Lounge/Afternoon Tea Bar/Drinks from the Bar Room Service Breakfast Dinner. 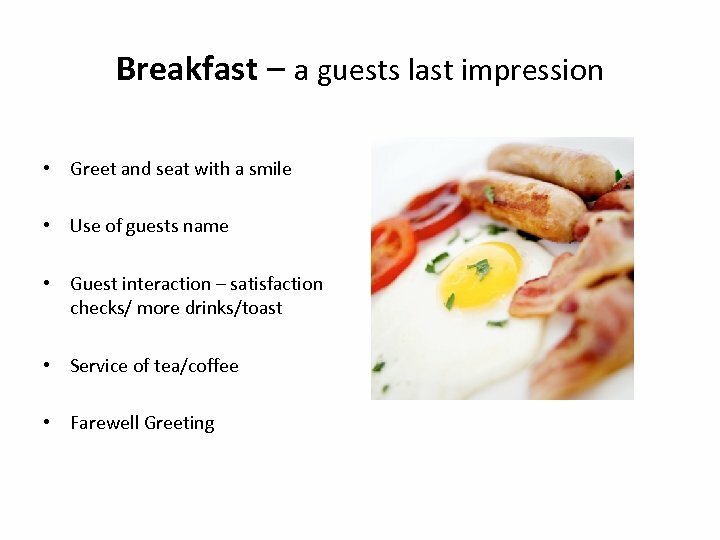 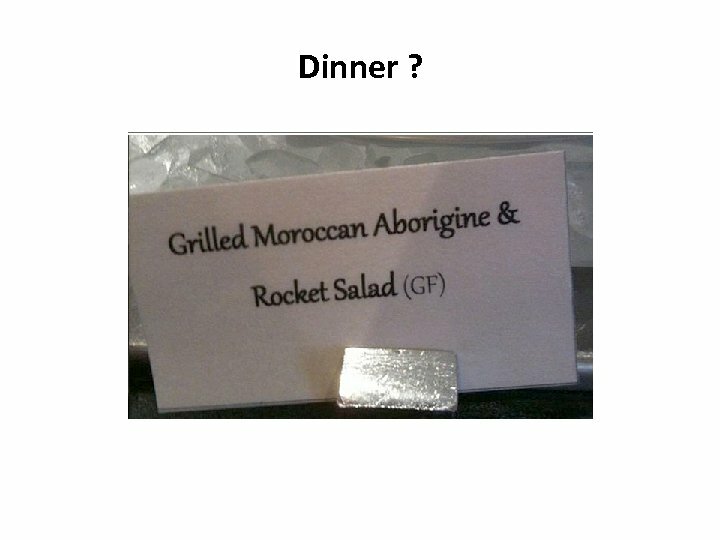 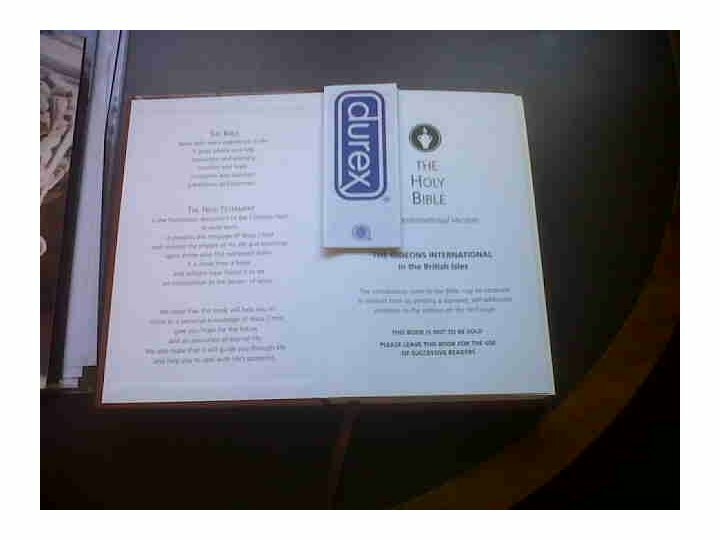 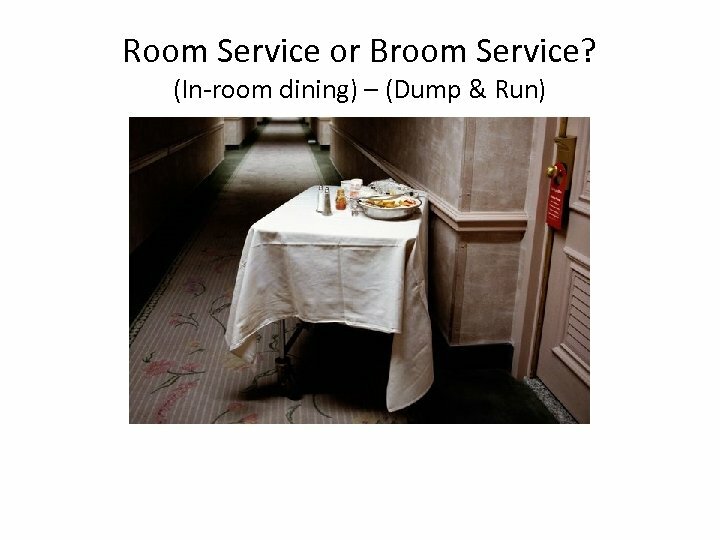 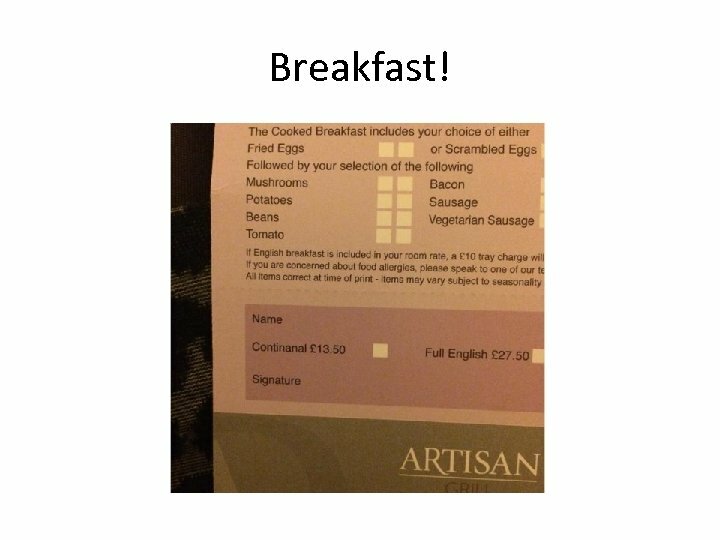 Breakfast – a guests first impression “ROOM NUMBER? 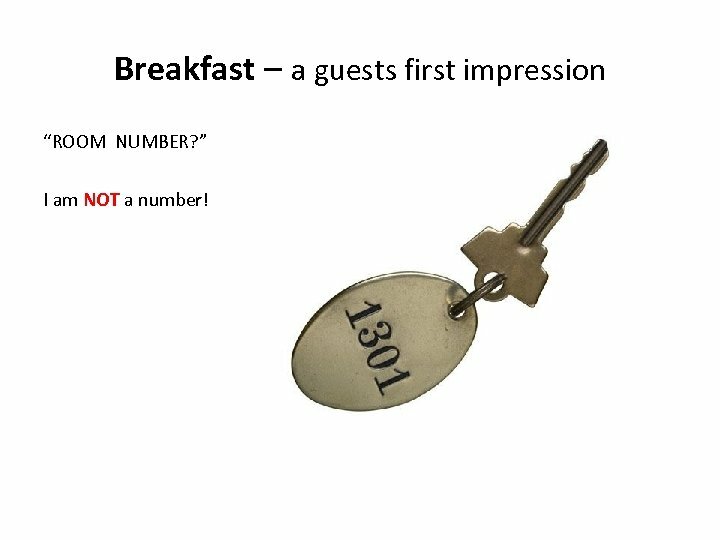 ” I am NOT a number! 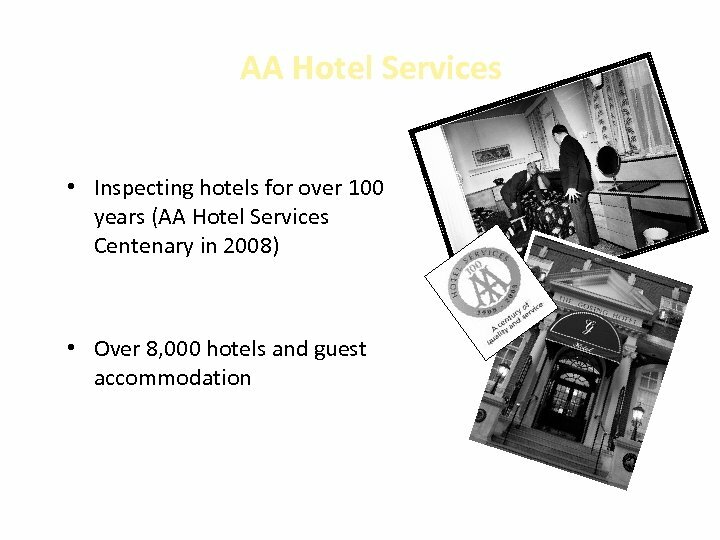 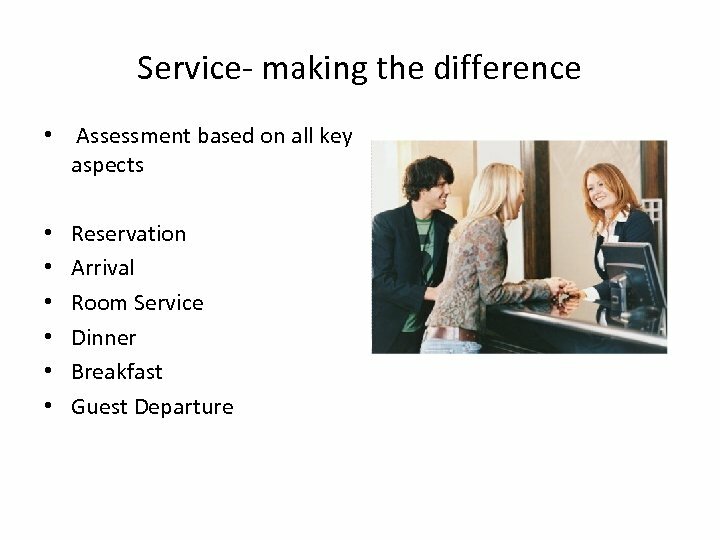 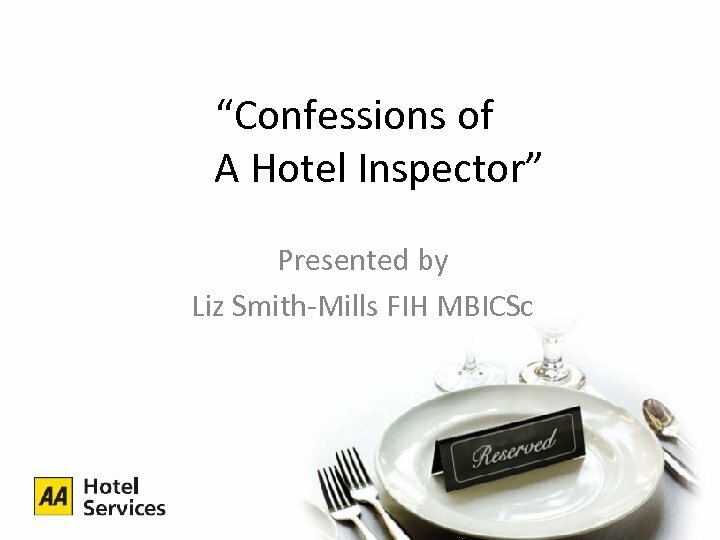 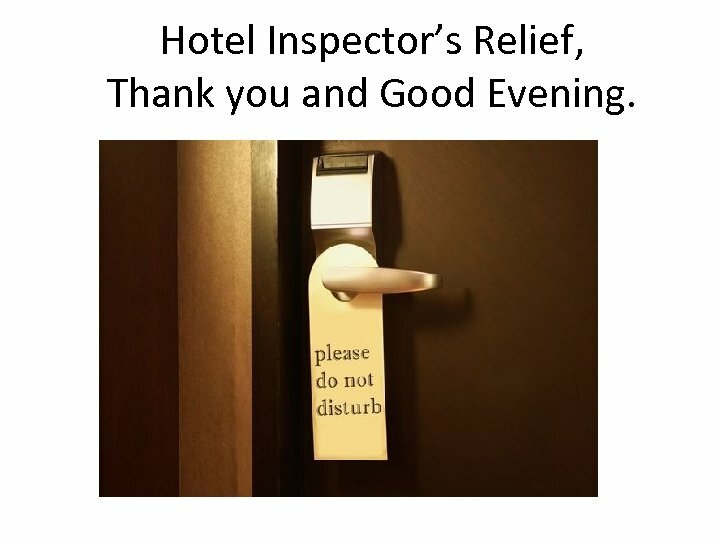 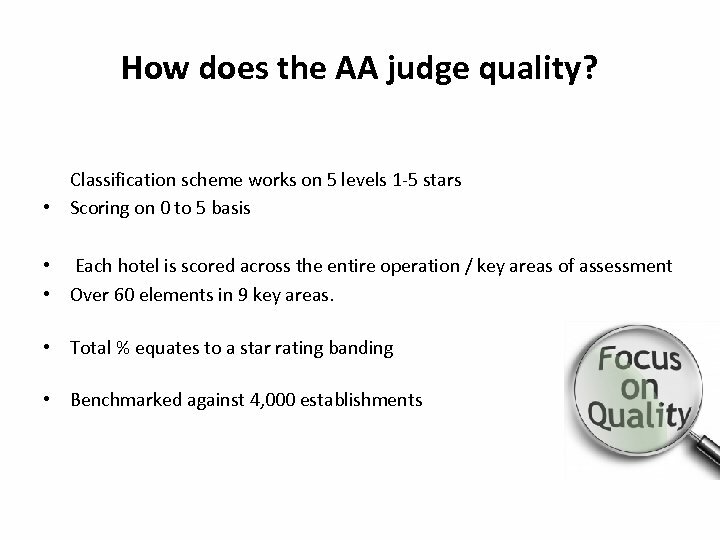 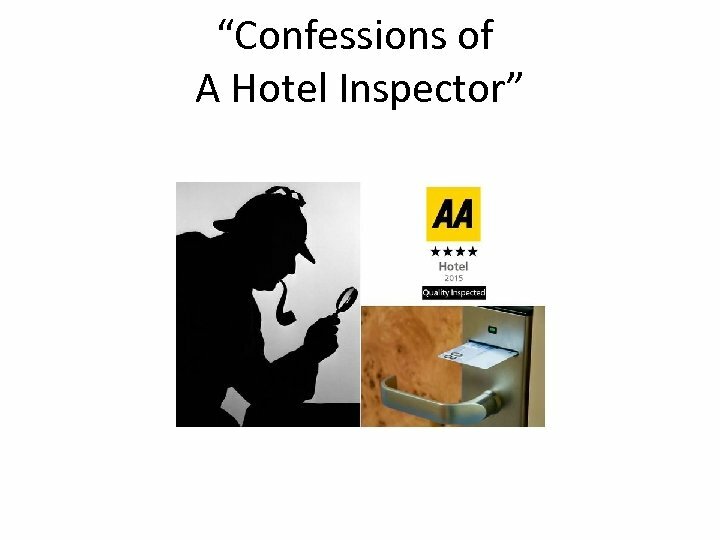 Hotel Inspector’s Relief, Thank you and Good Evening.